Muslim-Canadian activist 'fears only G-d,' says peace can only come after Palestinian Authority recognizes Israel's right to exist. Pakistani-Canadian human rights activist Raheel Raza spoke on Thursday about peace, anti-Semtism in Muslim countries, and recognition of Jerusalem as Israel's capital. Raza is a author, journalist, and public speaker, as well as a media consultant and anti-racism activist. She is also the author of Their Jihad, Not My Jihad: A Muslim Canadian Woman Speaks Out. "I'm a practicing observer of Islam, and therefore I believe that the children of Abraham - the Jews, the Christians, the Muslims - need to learn to live together, they need to respect each other, and the rise of anti-Semitism in the Muslim world is something that really bothers me," Raza said. "I know that it is political, and not ideological." "Don't think that we are taught in the Quran how to hate the Jews," she emphasized. "This is something that is very political and we must fight it on political grounds." "We need to speak out and this needs to come from within the Muslim communities." 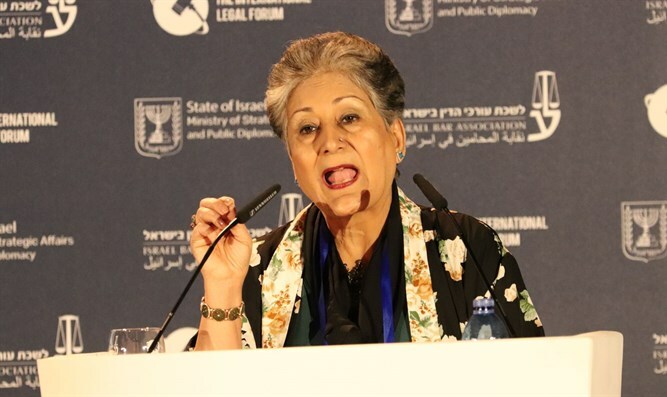 When asked about the Palestinian Authority's policy of paying salaries to terrorists, Raza said, "The problem is, that when you start having conversations, you can talk about these issues. But if the other side won't even recognize the right of Israel to exist, how can you have a conversation?" "Peace can only come when two parties want peace. If one party doesn't want peace, then you can't have peace....there has to be equal recognition, and then they can start a conversation. "I do believe that this is the fault of the Palestinian leadership, because the ordinary person, the youth, are suffering. They want to live their everyday lives, they want to go 9-5 to work like everybody else. They want to bring up their children in peace. But the leadership is very problematic, because they do not allow this to happen. And if....this [sic] terrorist attacks go on, then you don't have time to sit down around the table and talk peace. So definitely there is a leadership problem." "I'm glad that Jerusalem is going to become the capital of Israel, because I think it will force the world to take notice. And it will make them come round to the fact that this is a country that has a right to exist." Raza also said the Quran has been misunderstood and misinterpreted, and quoted a line that says that "to kill one person is like killing all of humanity." "We have to understand that Islam, and Muslims, are only the third sibling of the Abrahamic faith. We are not a standalone faith. So until and unless Muslims understand that in order to be a good Muslim you need to respect the other two faiths that came before, which is the Christians and the Jews, we cannot really practice our faith in all its honesty." Despite the fact that in some areas of the world, Raza has been sentenced to death by stoning, she said, "I'm not afraid of people, I'm afraid only of G-d, because that's Who I'm answerable to." "Just be good human beings. Just love each other as equals."